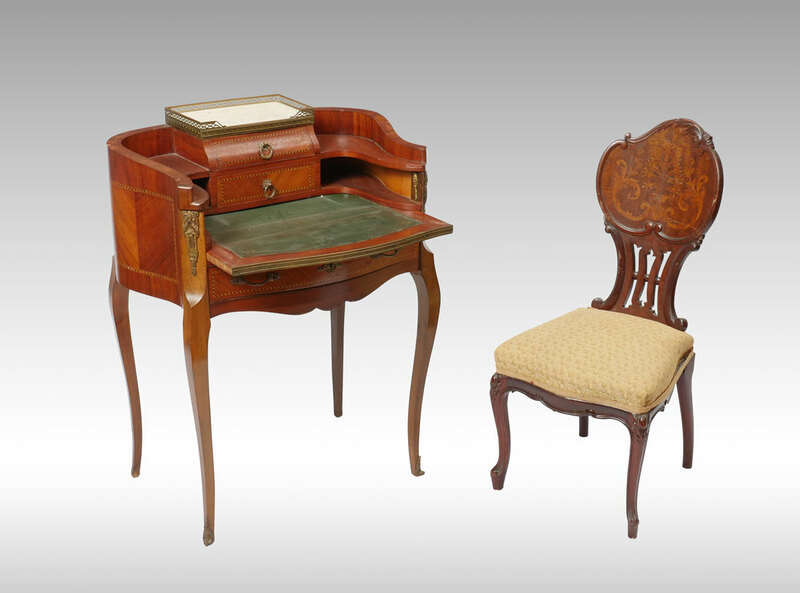 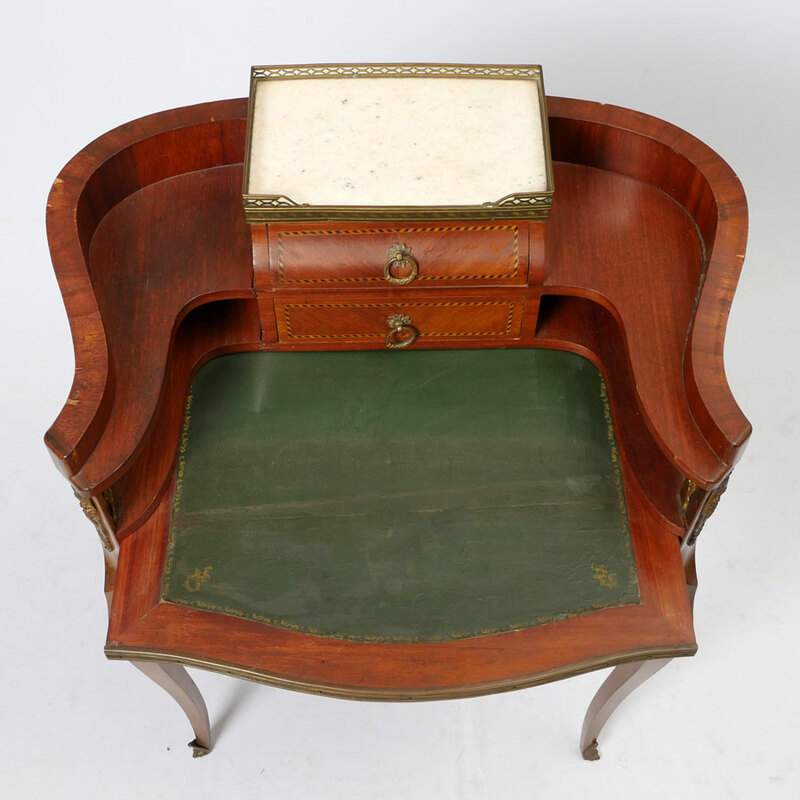 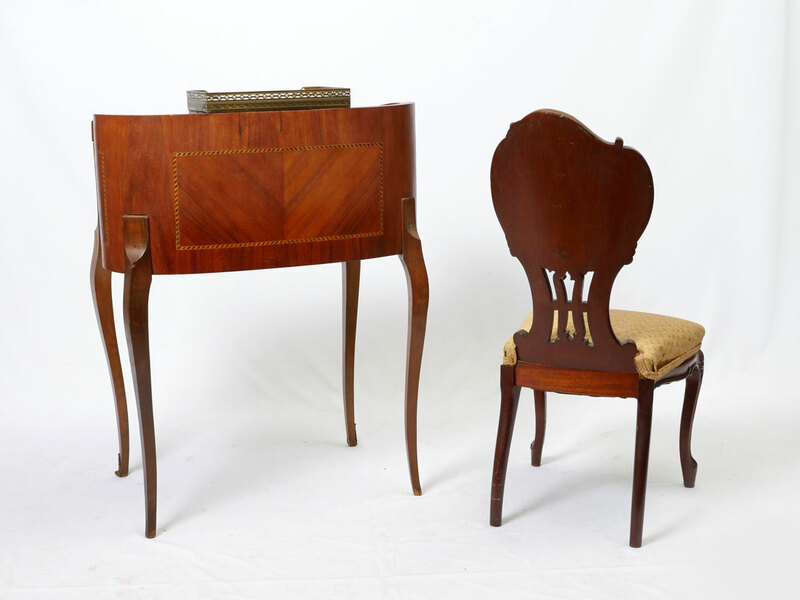 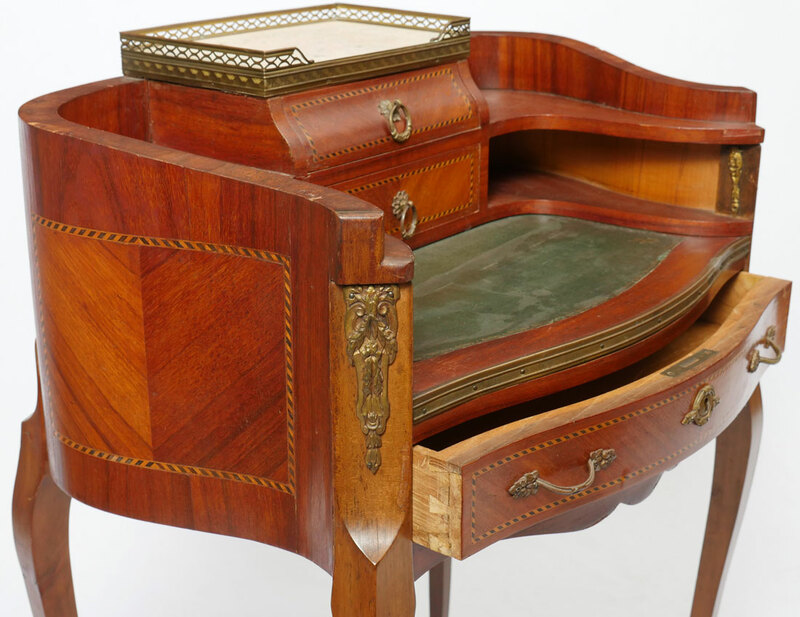 DIMINUTIVE WRITING DESK AND INLAID CHAIR: Bombe style serpentine back and arms, center marble top over 2 drawers, open shelf wither side, leather writing surface, over single drawer, shaped legs with applied metal mounts, inlaid accents, 37'' h. x 28 1/2'' x 20 1/2''. 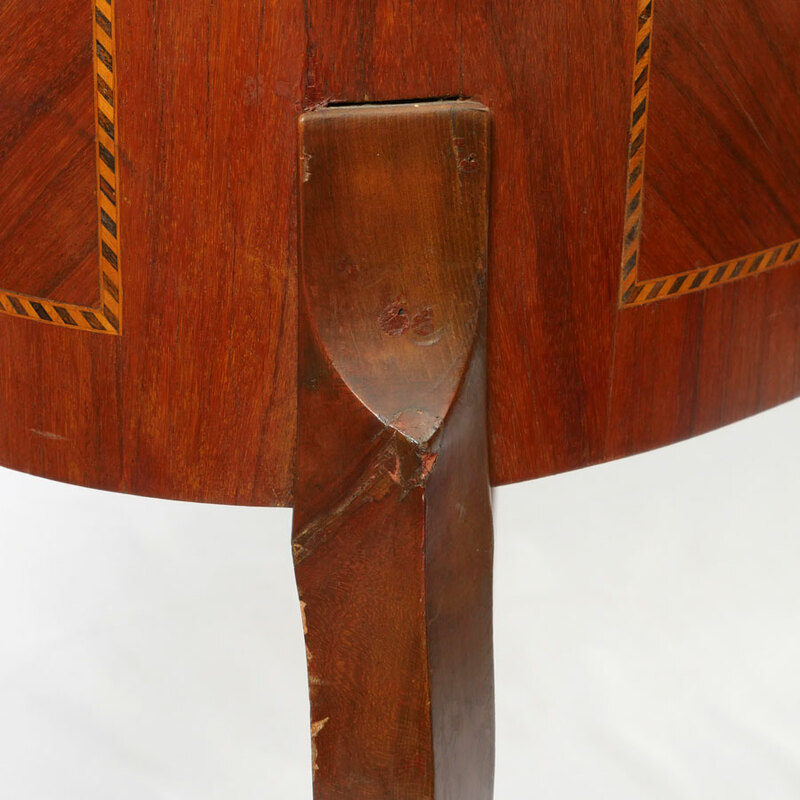 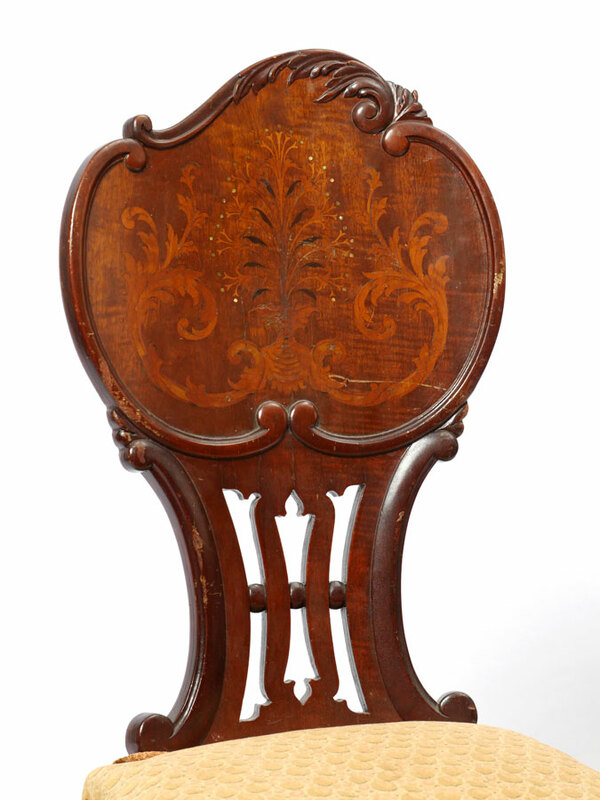 Chair with laminated foliate carved back, fruitwood inlay, shaped skirt, patterned upholstery, 36'' h. x 16 1/2'' x 19 1/2''. 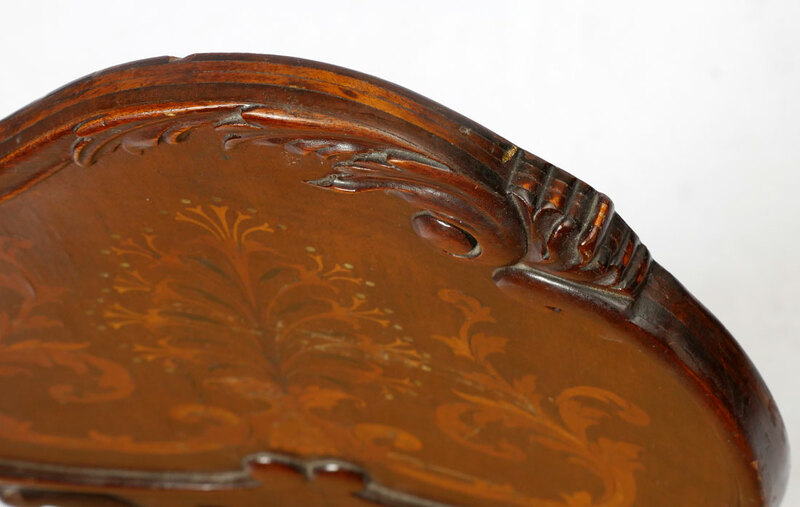 CONDITION: Veneer loss and wear to leather on desk. 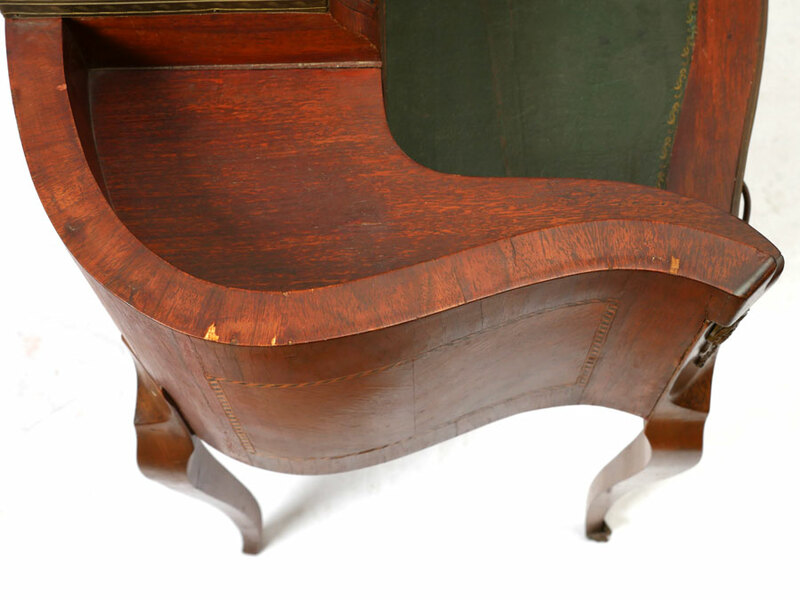 Chair in need of re-upholstery and cosmetic restoration.